This is our download page. 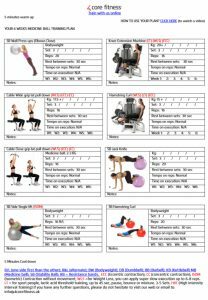 This library is free and you can use these free plans for your training as well as taking ideas from these routines! I have designed many different training routines over the years. To help you to profile yourself, I will put the gender, age and primary goals related to each exercise on the plans so you will be able to see if each plan is relevant to you or not! Please follow our Instagram, @4corefitness.ltd for educational posts and videos, real videoed sessions, tips on diet and exercise, competitions and much more! All our training plans are in PDF format. Some of these plans are interactive meaning there are hyperlinks attached that take you to a short educational video about the exercise. All training plans are provided by 4 Core Fitness ltd, this company provides online personal training through their membership platform. Before you start downloading and using any of the plans on this page, please make sure you have your stretching essentials as well. In this stretching plan below we also provide you information about home training equipment, all these equipment’s have been used and tested by us. There is no point spending lots of money on exercise machinery when you can get much more from cost effective devices. If you need any advice on any fitness equipment please do not hesitate to get in touch! Here is our first E-book about Ski fitness (we call it the single leg essentials!). This book contains 12 exercises suitable for an intermediate skier. If you are beginner, we recommend you download and follow the ‘Body weight essentials’ plan for 6 weeks before moving onto the Ski Fitness E-Book. 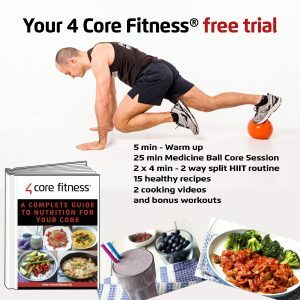 Download the ‘medicine ball only’ training plans from our online 4 Core Fitness training system. In this plan you will find similar exercises that are found in the Ski Fitness E-Book. as well as some hip mobility and contralateral control movements. If you would like to learn more of these moves whilst implementing more functional saggital and transverse plane movement, you can sign up to our 8 week online course here: 4 Core Fitness. Otherwise, hit the link below and try this medicine ball routine to help improve your running! Cardio based travel plan with resistance band. Please watch the video about this routine, I created this plan for Man age 24, active camera man, lots of outdoor hiking. He wanted something mobile to keep his fitness up and get stronger. Lakeshore residents training plan – Bristol. Frederick House residents training plan – Bath.